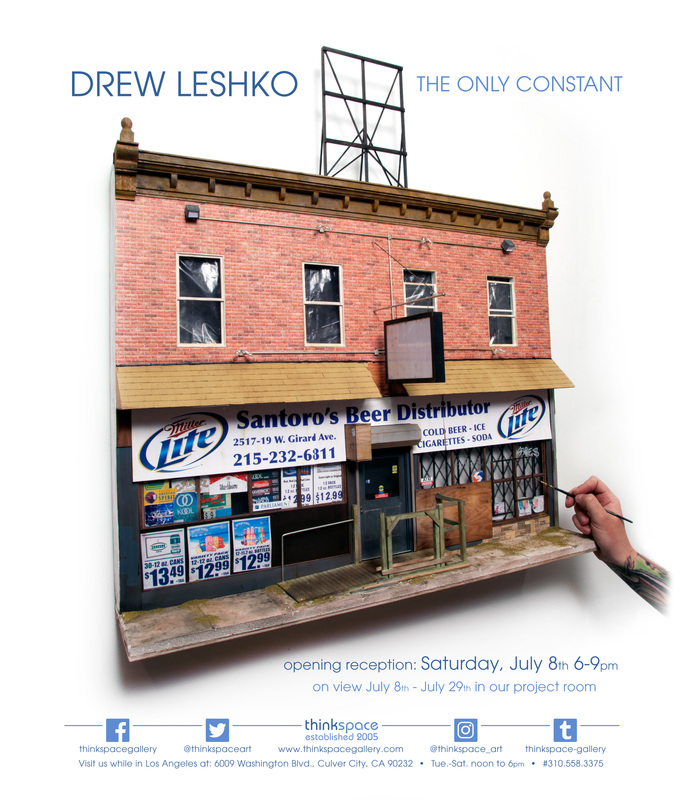 On view in the Thinkspace Project Room is The Only Constant, featuring new sculptural pieces by Philadelphia-based artist Drew Leshko. Leshko’s highly detailed sculptural works in paper and wood depict architectures and urban spaces, combining a documentary impulse with a nostalgic desire to immortalize the overlooked and the forgotten recesses of the cityscape. 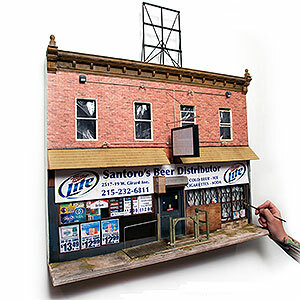 Made to scale at a 1:12 ratio, these miniaturized buildings, replete with every imaginable authenticating detail from signage to refuse, are inspired by the artist’s immersion in the onslaught of urban change. In an attempt to preserve the structures and histories of his home city, Leshko creates painstakingly detailed pieces based on photographs and hewn from memory. From gentrification to historic preservation, the artist explores the city’s momentums of conversion, destruction, and conservancy.